And so on to the non-Gideon Fell John Dickson Carr books. 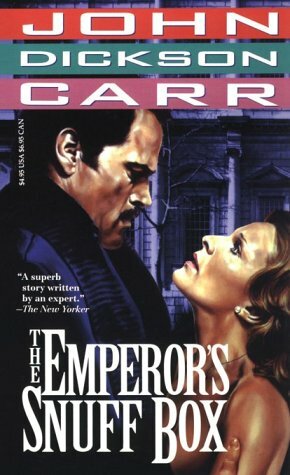 I’ll add a quick proviso here – I haven’t read everything in this category – the primary books that are missing from my reading here are The Devil in Velvet, which I believe is highly rated, and the majority of Carr’s later output, which generally isn’t. Anyway, on with the list. 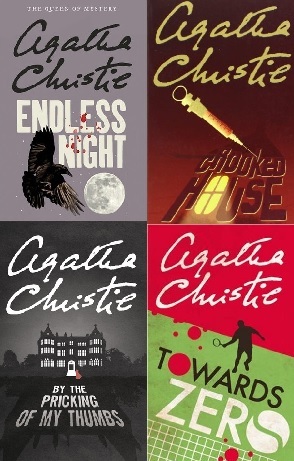 OK, the murderer’s pretty obvious to anyone versed in the mystery genre – especially Agatha Christie, but the added complication of a witness to a murder who cannot say anything due to being in a compromising situation with an ex-partner whilst engaged to someone else adds some characterisation to an intriguing mystery. Nothing impossible here, but an excellent detective story all the same. A woman who walks through a bricked up wall, a body that disappears from a sealed crypt and a man’s wife who is the spitting image of a past serial killer. This sets the scene for a mystery with heavy supernatural overtones. 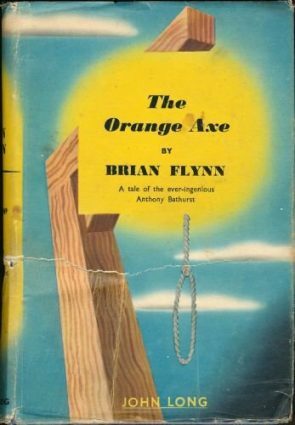 It has an ending that was considered fairly controversial at the time, but is still a fair-play mystery, and a very intriguing one at that. I can’t really say much more without spoiling it, but this one is highly recommended. Where to begin with this one – it’s a bit like reading a crossword puzzle. By the use of footnotes spread throughout this Hitchcockian adventure, Carr proposes nine questions and gives you the wrong answer that you might expect to be correct. All is revealed in the final chapter, along with the nine correct answers. It’s a work of technical genius, but I can see how some could find it annoying. It worked for me, though. 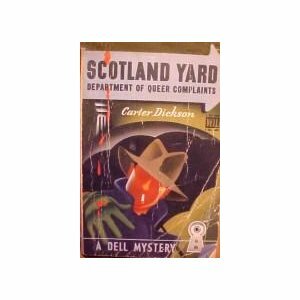 There are a few books of Carr’s that depict the development of the London Police force over the years, and this is my favourite. A woman is found strangled in a beach-hut, with, of course, no other footprints in the sand leading to it. I prefer this one to Fire, Burn, which has a strange time-travelling set-up which has never sat well with me, and also relies on a knowledge of whether a certain item was invented at the time the book was set. Read this one instead. Run out of books for this one – thought that might happen. The Bencolin books have never stood out for me, The Four False Weapons being the best that I’ve read. Poison In Jest was good, I think, but I honestly can remember nothing about it. OK, going to cheat here and go for the collection The Department of Queer Complaints (good luck searching for that online!) 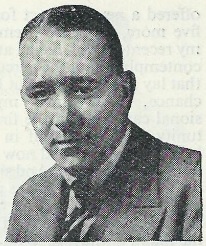 written as Carter Dickson. A number of classy short stories in here – do try and find a copy. 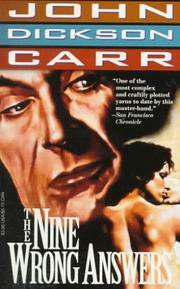 THE NINE WRONG ANSWERS, which uses the plot of one of Carr’s best (and best-titled) radio plays, ‘Will You Make a Bet With Death?’, is a book really worth championing, although I should say that I have so far only read it in Italian since for years it was the only edition which was uncut as the first paperback and all subesequent editions, up to the 1990s at least, were about 15% shorter. This was the same with the novella THE THIRD BULLET, which ranks with ALL IN A MAZE and THE HOUSE IN GOBLIN WOOD amongst his shorter works. Of the Bencolin novels I think I would single out IT WALKS BY NIGHT, Carr’s debut, just because the detective’s character was altered quite a lot by the time FOUR FALSE WEAPONS came along. 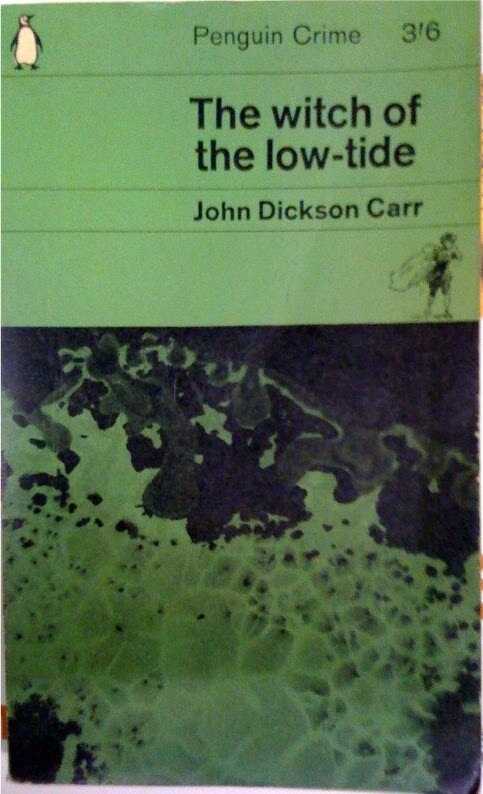 The historical mysteries that Carr produced in the 1950s were amongst his biggest sellers at the time, though Julian Symons (for whom I have enormous respect) is extremely depricating of them – personally, I think THE DEVIL IN VELVET, THE BRIDE OF NEWGATE, FEAR IS THE SAME (published as Carter Dickson) and FIRE, BURN all work extremely well on their own terms, just like THE BURNING COURT. The radio serial SPEAK OF THE DEVIL (published by Crippen & Landru) is also pretty good. I will admit, it’s probably been a decade since I read any of these though. I know what you mean about the murder weapon gimmick in FIRE but I have never forgotten it and found myself utterly charmed by Carr’s ‘Notes for the Curious’ which he appened to this and some of his other historical novels. It Walks By Night annoys me because of one particularly ludicrous part of the solution. I’ll not specify for the casual reader, but I cannot believe that someone would be so stupid not to notice… something. Sorry, it’s a spoiler-free blog, so I can’t specify, but you can probably remember what I’m talking about. Yes, of course, I do know what you’re getting at, and you are right but I must admit I tend to forgive such things since let’s face it, they tend to recur. It is a pretty amazing debut for a writer of 24 though! OK, I’m reaching there, but the atmosphere is great and the gimmick, if implausible and perhaps even guessable, is still ingenious I find. But perhaps I need to re-read it after all. 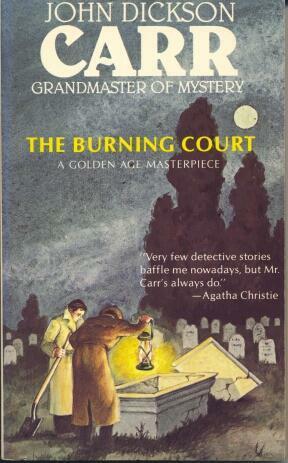 I like The Burning Court a lot, and I wrote about it a couple of months ago (some spoilers): http://u-town.com/collins/?p=2856. I think it’s one of Carr’s best.